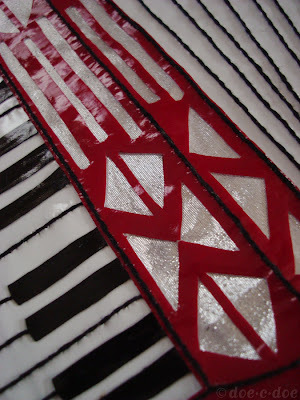 for the red & white material I used a vinyl "pleater" from joanns. I like the smoothness & shine plus it cuts so nice - I was even able to use an exacto to do the cutout pattern. 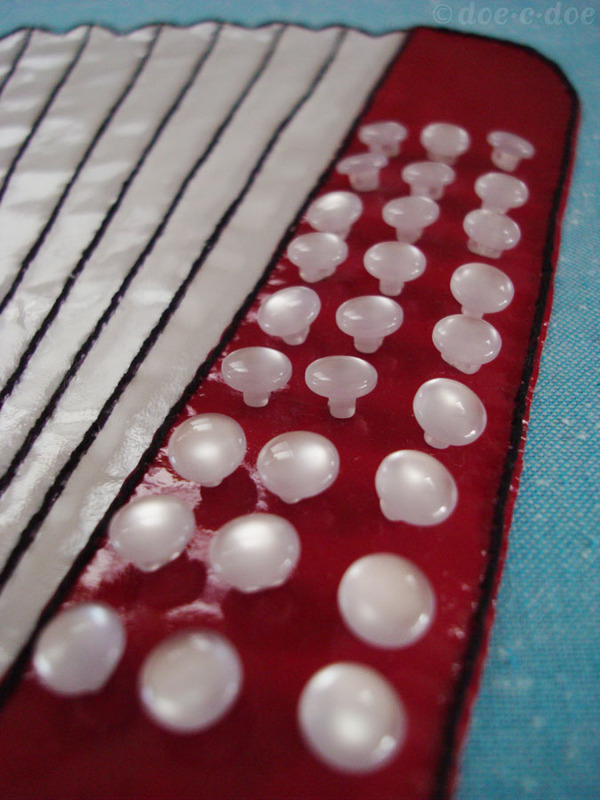 and for the buttons...I used buttons of course, haha! It's fabulous and so clever! This is right up there with the cuckoo clock as one of my all-time favorite embroidery projects. Of course, I LOVE this! Now I want one of my accordion - do you think they make pearly teal pleather? THIS is fabulous! There was a mini-accordian in antique white mother of pearl at our GW. I thought of you! I think there should be some sort of warning on this blog. Seriously. Cause you consistently have my jaw dropping to the floor. I'm afraid that after a few more post I may have to have some sort of reconstructive surgery. Oh well, at least all this jaw dropping is for a good reason. You are totally and completely my number one embroidery crush. This is amazing! 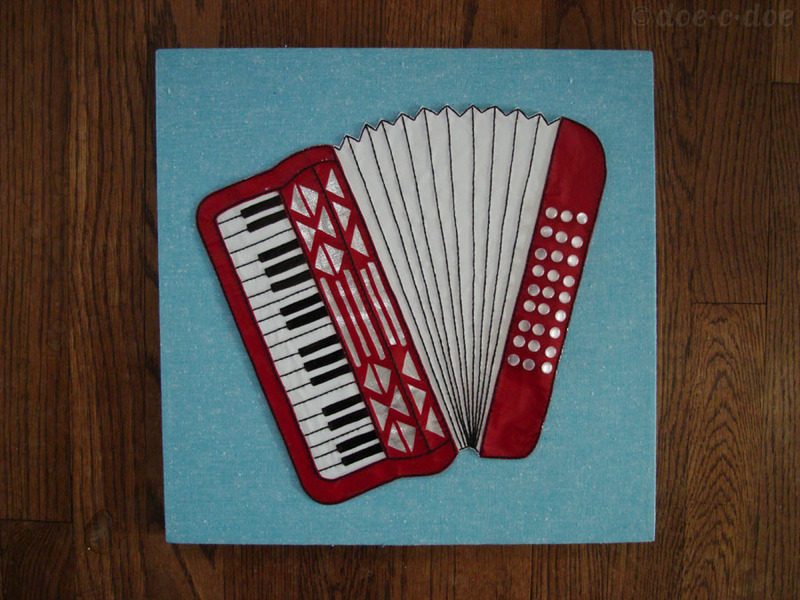 I have my mom's old accordian from the 1950s, and I have *always* wanted to learn to play it. Maybe I'll give it a try this year!